Sting Swords of Bilbo Baggins are meticulous reproductions of the real swords used in the award-winning movie, The Hobbit. The Sting Sword is a replica of the actual film prop made by Weta Workshop of New Zealand and wielded by the Hobbit Bilbo Baggins. 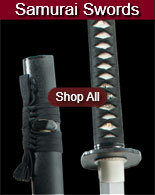 These officially licensed swords measure 22 ½ inches overall. 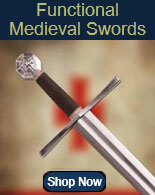 They feature a 15 3/8 inch, AUS-6 stainless steel blade and solid metal hilt parts, guard and pommel. 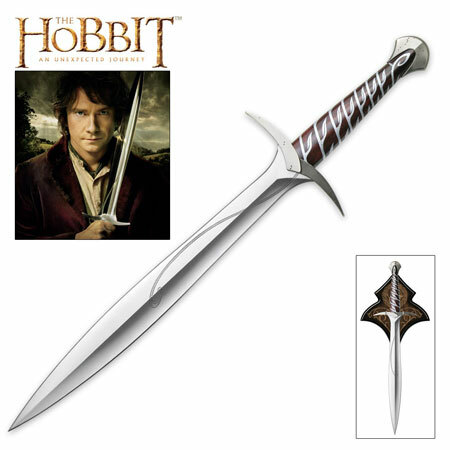 The Sting Sword of Bilbo Baggins also includes a wooden wall display plaque which boasts an intricate silk-screen graphic. 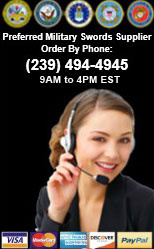 All mounting hardware and instructions for display are included. 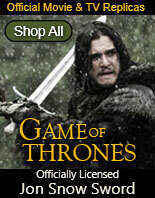 This sword also includes a certificate of authenticity. 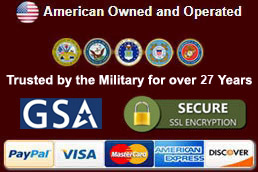 Buy the officially licensed movie collectibles from Lord of the Rings and the Hobbit Movies made with exquisite detail by United Cutlery for only $129.99.